Having an urban garden filled with delicious food is a blessing. Honouring that food by lovingly preparing it, sharing it and consuming it is an imperative. It is such a pleasure to share in the enthusiasm and love of other vegetable/gardening enthusiasts. Here is an ever-evolving list of cookbooks that honour the food grown in our gardens or those of others. I love these cookbooks and have found them to be a valuable resource. 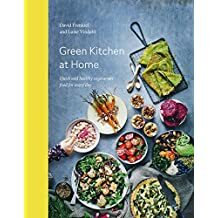 They include wonderful information about the vegetables growing in many gardens, simple, delicious recipes for immediate enjoyment as well as easy recipes for preserving food for later. Although the content centers around vegetables, these cookbooks are not necessarily vegetarian or vegan. I modify the recipes and substitute ingredients to suit my needs. If you are looking for plant-based recipes and/or cookbooks, see my plant-based diet recipes and list of plant-based cookbooks. Keep checking back as this list will likely grow. This book has quickly become my favorite go-to recipe inspiration. I love the quick hummus and pesto recipes. The banana spinach pancakes are quirky and scrumptious. user friendly cookbook for those who love their fruit and vegetables. 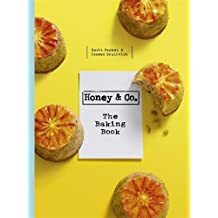 Honey & Co: The Baking Book by Sarit Packer & Itamar Srulovich. The first 50 pages of this book are dedicated to amazing Mediterranean-style jams, marmalades and preserves; these chefs combine raspberries and lime, or fig, cardamom and orange. These combinations are tantalizingly fragrant and refreshing twists on the standard jam. As I think about what to do with the plums, figs, apples, raspberries, gooseberries and currants (some of which we planted two years ago), this cookbook gives me hope and inspiration that I can make something delicious. The delicious pastry recipes are not gluten or dairy free.